If you want to be part of the SuperBowl crowd, here are some can’t miss events going on near the Mercedes Benz Stadium. Keystone Gates is conveniently located in the Lithonia area of DeKalb county with ultra easy access to I-20 and downtown Atlanta. Award Winning New Townhomes – Final Opportunities, Move In Ready! 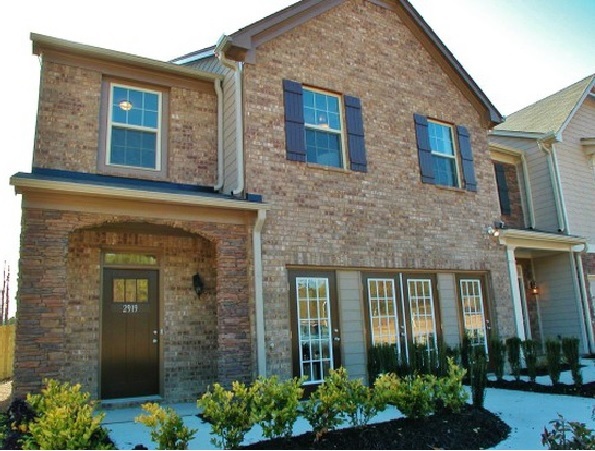 Come out to enjoy the area and stop by Keystone Gates by Award-Winning Rocklyn Homes. Home plans offer 3 Bedrooms with 2 ½ Baths, Gourmet Kitchen With Island, Granite Countertops, Master Suite with Sitting Area (per plan), Master Bath with Garden tub, separate shower with tiled floor, Raised Double Vanities, Game Room (per plan) and optional 4th Bedroom (per plan). Conveniently located off I-20 and Hwy. 278 at Panola Road on Snapfinger Woods Drive, Keystone Gates is close to local shopping, dining, entertainment and Stonecrest Mall. Stop by and tour Keystone Gates at 2589 Stonekey Place, Lithonia, GA 30058 – Get Directions, call Dianne at 404-956-4864, CJ at 770-990-9152, or email keystonegates@rocklynhomes.com for more information. Award Winning Rocklyn Homes is one of Atlanta’s Top 10 Homebuilders in the Atlanta Business Chronicle. Ranked Nationally at #87 in the 2017 Builder 100 List by Builder Magazine. Rocklyn builds quality single-family homes and townhomes with award-winning plans in the Metro Atlanta area from the mid $100’s to $400’s.